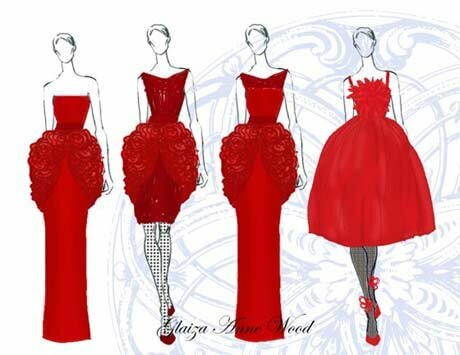 Are you a fashion design lover? Would you like to have a career in this major? Actually, most people think that studying fashion design is exciting, but it can be depressed at the same time and there are a lot of new styles need to be completed. Since it is a challenging and competitive field; before making decision, you might have a hard time considering of the best fashion design school to pursue your degree. In addition, you might spend sometimes to consider which universities that provide you the best design education system in the world. Here in our today article is definitely for you, which came up with the list of top 10 most excellent design schools in the world that had been rated by most successful students. 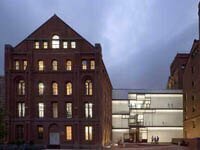 The Fashion Design Department at Pratt Institute is located in Brooklyn, New York, which was founded since 1887. This art school is over a century now. Students at Pratt Institute are not restricted to the fashion courses; they may take other advantage of the entire program that school has provided. The stuff and lecturers of the schools are all active in the fashion manufacturing. In the school academic program, it also offers field trips and consultations with working designers that they can share their professional experience. Pratt’s intellectual programs are ranked among the best schools in the country. Moreover, its faculty and alumni are the most well known artists, designers, and scholars in their subjects. Its program is willing to promote collaborative and creative policies for critical design thinking and offers students with supreme training capabilities. Many students might have known about this famous school which was established since 1887. 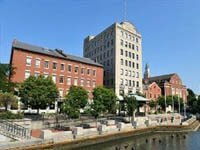 The Rhode Island School of Design is situated in Providence. This school offers the best teaching technique with the high standard to ensure the studies process of each student. Furthermore, The school is engaged to offers the students with the creative thinking skill, which is very important for fashion students to broaden their perspective. What is more, the school program also includes trips to New York City and internships with major fashion houses, which is very beneficial for fashion student to learn something new and practice in their real life. 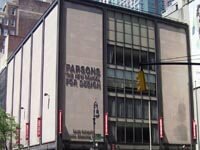 The Parsons Fashion Design program is considered as one of the first of its kind in the United States. Located in the beautiful city of New York, the program and school are both over a decade now. This university also offers the best quality of education and master’s degrees in fashion. Innovation and sustainability are considered to be useful of the school concept of fashion learning. Students are guaranteed to have a creative and research skill and enough ability to compete in the market after their graduation. Every undergraduate design student leaves Parsons with their own professional skill. Fashion Institute of Design and Merchandising is a specialized in Fashion Design as well as other Design field such as Graphic and Interior Design. This school is known for its best education on Fashion Design. It offers its students with various challenging activities to strengthen the student’s ability on their field. It could be described as a platform where creativity and careers emerge. They’re not focus only the lecture at school, but also the real practice with the industries partner. They’re engaged to keep in track with the students to achieve their goals as fashion designers. It doesn’t just prepare their students for a job; it prepares them for a professional career in the future. If you are living in a New York City, you should have known about the fame of this school. 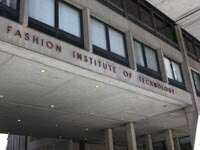 The Fashion Institute of Technology offers many programs both undergraduate and graduate in the field of fashion design. For those wishful to a career in fashion design, this school is a highly recommended school for you. 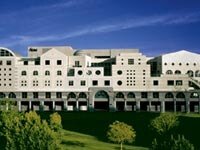 This school is recognized internationally for its outstanding academic achievement. FIT offers students with the new innovation and creative thinking to skyscraper heights. When you decide to study at FIT, you are in the process of participating a long line of ambitious, energetic innovators. 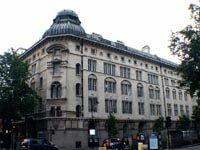 By its name, you can know easily that this famous school is located in the beautiful city of London. 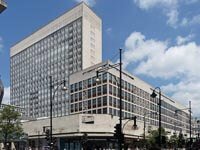 The London College of Fashion is well known as the only college in the United Kingdom to specify in fashion education and research. It is ensuring that students are kept aware of the new trends in the fashion industry. Its staff keeps in touch with students ensuring the learning process and the use fashion alongside historical and cultural practice to challenge social, political agenda. Central Saint Martins College of Art and Design is well known for its leading academic program of art and design in Britain. This School is known for providing an appreciated foundation for both undergraduate and graduate in Fashion design. Students are trained with the research courses that are very important in practices in design experimentation and innovation. What is so special, only a few talented students each year are accepted by the schools, and are very well educated in the art, fashion and design worlds. The list of alumni includes literally hundreds of influential creative person and fashion designers. All course of study offer demanding and well structured that lead students to get benefit not only from good teaching, but also from those talented group of students. Located in Italy, Polimoda International Institute of Fashion Design & Marketing is a center of quality, recognized international for its high standard of teaching, fashion-oriented. Polimoda relies on professors with a full experience background in the fashion industry. It aims to provide students with an efficient education, always in-line with the fast new trend fashion business. This school is expert in the different fields, especially the field of fashion design. 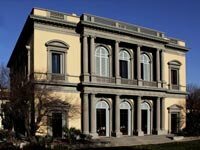 This school is one of the oldest universities in the world, which was founded since 1663. 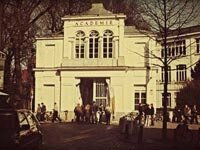 According to its long experience and many professional lecturers, the Antwerp Royal Academy of Fine Arts is recognized globally for its excellent design programs as well as quality fashion collections. Famous ex-students and a new generation of designers make this school even great with their professional skill and include many unique course in the program ensuring the quality and the standard of teaching. The students are guaranteed to get the best fashion education through the program and be ready to compete in the industries environment. 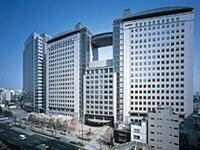 Bunka Fashion College is an Asian school, which is located in Tokyo. Bunka Fashion College is willing to provide the best fashion education in order to develop and broaden the perspective of learning and training to be a professional fashion designer in their future career. This school offers a course, which is called the Global Fashion Concentration and it is taught completely in English. The college has produced a huge number of professional fashion designers working worldwide.